6. How Do You Prevent Poison Ivy? 7.1. How Long Does Poison Ivy Last? 7.2. Is Poison Ivy Contagious Person to Person? 7.3. How Does Poison Ivy Spread? 7.4. Is Poison Ivy Painful? 7.5. How Do You Know If You Have Poison Ivy or Poison Oak? 7.6. Can You Become Immune to Poison Ivy? The nature world is full of plants that give us relief from health problems. But there are countless plants which can put your life in danger as well. Poison ivy is so famous for its threats that it is even used to name an evil character in the series of Batman. Find out with us today about this dangerous plant and most importantly, how to get rid of poison ivy rash, especially using essential oils for poison ivy. When it comes to poison ivy, you might read about it under the name of Toxicodendron radicans in some reading materials. It is among poisonous plants which lead to some negative reactions in our body. The Poison Ivy Organization claims that poison ivy rash appears when one of the poison ivy’s volatile oils, known as urushiol, contacts with your skin . This oil is present in every part of this plant, so the risk is probably much higher. Specifically, you can find it in leaves, berries, vines, stems, flowers and roots. The oil, urushiol, lies inside the sap of poison ivy, so you cannot see it on the surface. It does not have any special odor or color; as a consequence, it is even more challenging to detect the exposure to this oil. And then, rash from poison ivy on skin grows without your recognition. Your skin might absorb urushiol oil very quickly and once it is on your skin, it remains for an extended period of time, perhaps up to several weeks. Some studies even suggest that it can be on some kinds of fabrics for around 5 years . So, when your skin has a direct contact with poison ivy, or its harmful volatile oil in particular, you will suffer from some allergic reactions, with the clearest symptom being rash. Even though the symptoms are certain to appear around 8-48 hours, they do not necessarily appear at one time. On the other hand, experts have figured out that there are several sources of urushiol oil around you. Find out what is potential cause for your poison ivy infections . As poison ivy mainly causes consequences on our skin, we need something to deal with them gently. Essential oils are the best method you can ever think of. They are natural, safe and bring a pleasant smell, which is a great advantage. Read more about WHAT ARE THE BEST ESSENTIAL OILS FOR HEADACHES to know why they are appreciated around the world. Let’s dig deeper into a list of top essential oils for poison ivy that people all around the world are using every day. Perhaps after this list and severe tries, you can have your own opinion about the best essential oil for skin rash. When it comes to essential oil for poison ivy, lavender oil seems to be an indispensable part. It has been respected for its healing and restorative qualities since ancient times. How is lavender oil beneficial for poison ivy treatment? It is particularly good for your recovery speed. In addition, inflammation cannot happen once you use lavender oil regularly on the affected skin. Lavender oil is safe for most types of skin, apart from very sensitive one. Thus, if your skin is ordinary, it is unnecessary to dilute lavender oil. 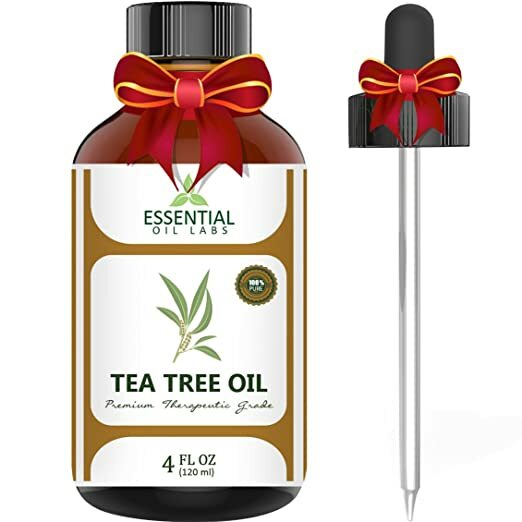 Many people consider tea tree oil as the best essential oil for skin rash and of course, there are some reasons for their belief. Tea tree oil has such a powerful anti-inflammatory quality and it also plays an essential role in the healing process, especially from poison ivy plant. Besides, it can serve as a painkiller to help you quickly overcome any disturbing symptoms. As tea tree oil is quite strong, use it only once per day. If you find irritated, stop using it immediately and seek for medical help. 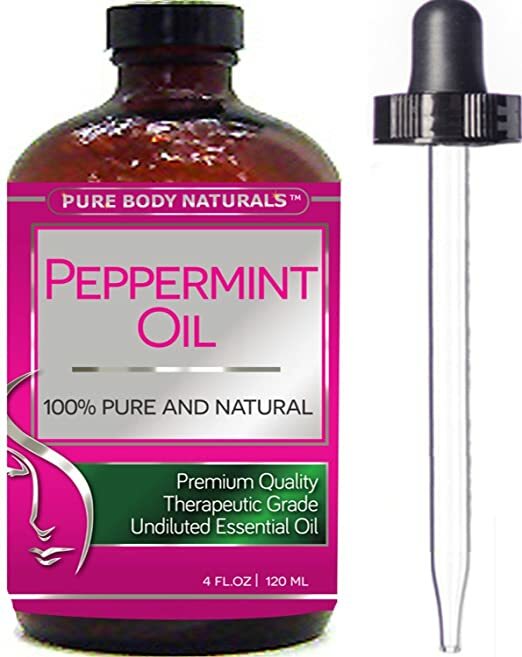 Peppermint oil is the next poison ivy essential oil that you want to know. It contains so many antioxidants, as well as some active ingredients, like menthol. All of them contribute to soothing your inflammation. Moreover, it is also effective to prevent poison ivy infections and save you from itching sensation all the time. To be honest, rose oil is not a therapeutic essential oil for poison ivy. Nevertheless, it is on this list because it has great impacts on your immune system and as a result, your allergic reactions might be less severe thanks to rose oil. 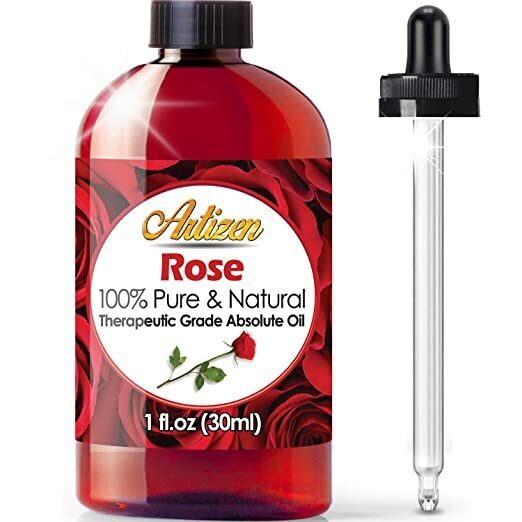 Besides, if you need something to relieve pain instantly or remove redness on skin, rose oil is a good choice as well. Remember to use the oil moderately. In the above-mentioned remedies, you might have heard about using coconut oil for poison ivy as carrier oil. 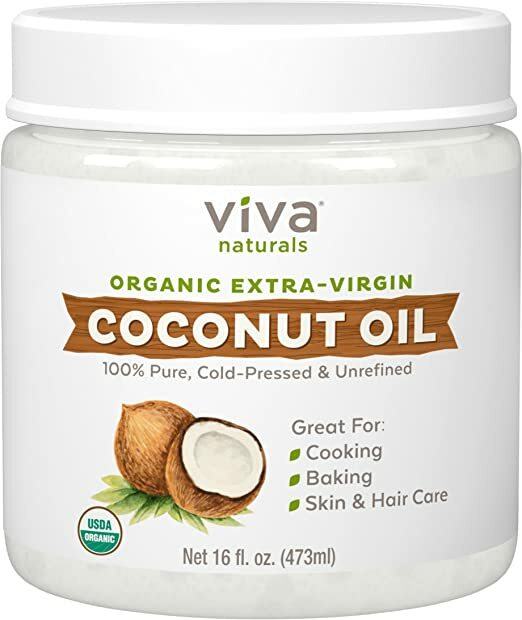 Yes, it is common to see people mix coconut oil with other oils whose quality is too strong for sensitive skin. Yet, if you want to use coconut oil alone, it is fine then. In fact, the recommendation is not only to apply it, but also to consume it. Your immunity will become stronger, which protects your body better from poison ivy tree. For better outcomes, get some warm coconut oil on your skin and massage the skin for 5-10 minutes. There are many active ingredients in all essential oils for poison ivy and all of them are good for alleviating the pain and rash. Eucaplyptus oil is one of them. You can expect the inflammation to go away quickly and it actually takes less time to recover from the problem. 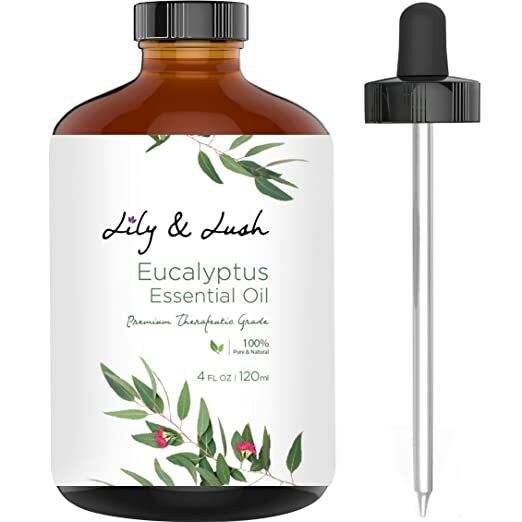 Eucalyptus oil does not possess too strong properties; therefore, you do not have to dilute it. No toxins are present in the oil and your skin can absorb the oil completely. All you need to do is to pour 4-5 drops on your skin and massage it for a while. Do so once or twice on a daily basis to make the treatment for poison ivy go forward. Poison ivy infections are something that you have to be concerned about. They are likely happen, especially when you fail to resist scratching your skin because of itchiness. 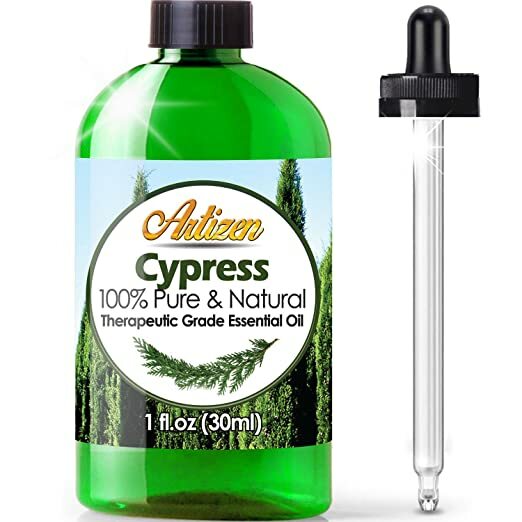 If you have already done it, go for cypress oil immediately. It is one of the best essential oils for poison ivy thanks to its antiseptic nature. In other words, it enables the rash to heal more quickly and prevents inflammation efficiently. There are some clinical studies which suggest the association between pine essential oil and the fight against inflammation . Therefore, you can look for pine essential oil as a way to heal bad effects from this plant. On the other hand, this oil provides many great health benefits, including treating redness and soreness – two common symptoms of poison ivy. 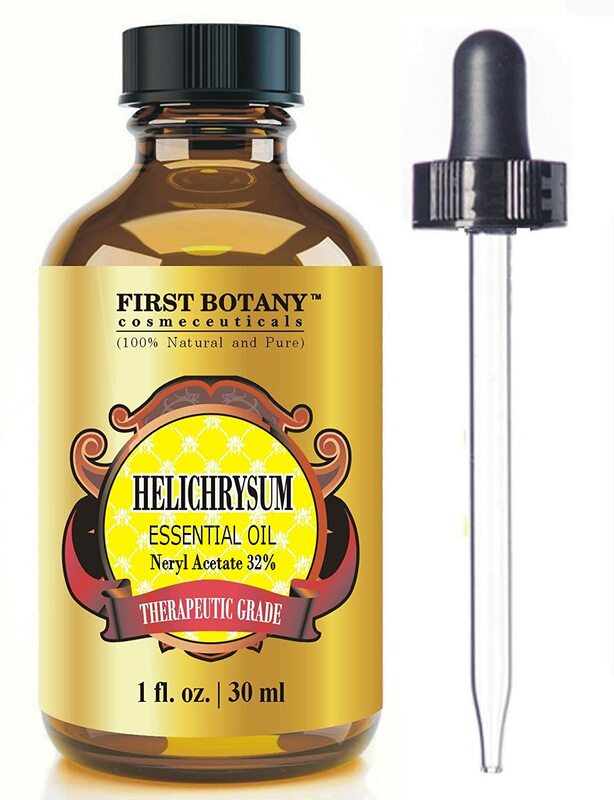 Helichrysum oil holds a series of anti-inflammatory and rejuvenating compounds in its content. Thus, it is suitable to allow you to treat pain from poison ivy. Plus, it modulates your body’s immunity so that the allergic reactions become less severe. It might not be famous and you perhaps do not know it. However, this oil is truly one of the best essential oils for poison ivy, even for poison oak or sumac. If you are still wondering what essential oils are good for poison ivy, the answer is geranium oil. With its anti-allergenic nature, geranium oil has soothing effects on your itchiness and rash quickly. 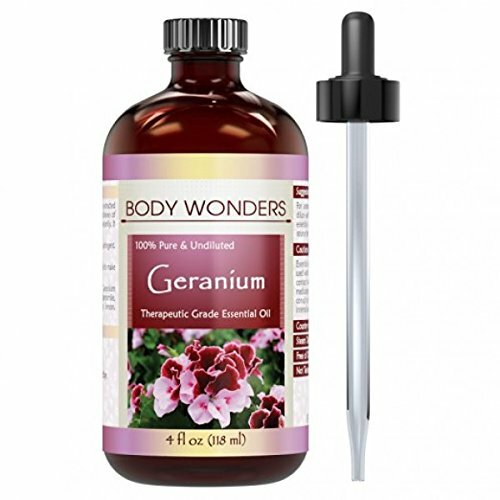 Geranium oil even has great influence on your immune system. It also stops the release of additional histamines. Therefore, it is suitable to treat poison ivy. Like other essential oils for poison ivy, you need to dilute it before using on the skin. Mixing it with coconut oil is a good start and do not forget to give your skin some massage to relax and let the oil take better effects. Essential oils for poison ivy are great choices to get rid of this problem. They combine with massage techniques and bring the best circulation to your skin. However, it is undeniable that these oils are not available in some places. If you have difficulty finding essential oils for itching rash, you can always try these alternatives. Cool compress is the first recommendation from experts to help you overcome blisters on your skin. Even though it is much more efficient with the combination of lavender oil, you can still push back poison ivy rash with other ingredients as well. In lieu of lavender oil, you can try mixing few drops of apple cider vinegar in the water. The vinegar contains tannins as well as many anti-inflammatory compounds to reduce the risk of inflammation on your skin. Another popular natural remedy that you can easily do at home is oat bath for poison ivy itching relief. Oatmeal has many beneficial substances in its content, such as phenols or avenanthramides, to help you overcome itchiness . Therefore, you had better mix a little oatmeal with warm water and let your skin sit inside the oat bath for 15-20 minutes on a daily basis. It will quickly stop severe poison ivy rash and give comfort back to you. The use of witch hazel for poison ivy has been well-known for years. It is among the best herbal treatments for this type of plant. It has amazing effects on your healing process and prevents inflammation, along with itchiness, greatly. Interestingly, witch hazel is even safe for young children. To get benefits from this herb, you can find its extract and apply it little by little on the affected skin. Himalayan salt is such a good choice among many natural remedies for poison ivy. There are many minerals in this salt, together with its great amount of sodium chloride. For ages, people have taken advantage of this salt to detoxify or cleanse their skin. It has a wonderful antihistaminic quality and there is no reason to refuse to use it in the best poison ivy treatment. Furthermore, you can benefit from its sulfur content with anti-inflammatory nature as well. Besides, you can simply pour Himalayan salt into your warm bath water. It provides such a relaxing way to get rid of poison ivy. Baking soda can be particularly useful in two steps. First, you can make use of it to remove any oil remaining on your skin. Secondly, when you already have the rash, baking soda is good to deal with inflammation and itching. There are several possible ways you can use baking soda for poison ivy treatment. Even when your blisters burst, baking soda can be still helpful for your skin. Using it regularly will reduce significantly the sensitivity of your skin. Just in case of poison ivy on face, aloe Vera is the best choice to remove the rash. Unlike poison ivy, aloe Vera is such a fantastic plant for its various health benefits. Its gel is safe for all types of skin, so anyone can use it for difficult purposes. In this case, it is for treating poison ivy rash. You had better go for fresh aloe vera plant for the best outcome. If it is really really rare in your area, then it is acceptable to use commercial gels. However, remember that organic plants are always appreciated. You can keep the gel in a jar and put it in the fridge for later use. How Do You Prevent Poison Ivy? We have already made a list of tips on how to treat poison ivy rash above, but obviously, none of us wants to go through them. Thus, the goal is to try preventing poison ivy from disturbing your skin condition and your daily life, instead of seeking for poison ivy cure all the time. According to several experts, the treatment for poison ivy will take a certain amount of time, despite how strong natural the relief is. It is because your immune system has to deal with allergic responses gradually. Meanwhile, with a strong immune system before the exposure to this dangerous plant, you can actually find it quicker to heal the rash. In other words, it is crucial to learn how do you prevent poison ivy. Even though most essential oils for poison ivy are good for poison oak, you all need to begin with recognizing this plant, along with some others, such as poison sumac or poison oak. If you notice that your skin has already contacted with the plant, it is imperative that you wash that skin area instantly with water and strong soap. In this way, you can eliminate the harmful oil and possibly avoid having a response. The time is crucial. The longer you leave the oil on the skin, the more likely you are to witness poison ivy rash. Do not use a washcloth to clean the oil because the oil can remain on the cloth and pose a threat to you later if you reuse it. On the market, some brands propaganda their commercial washes are more effective than most ordinary soaps to clean poison ivy oils. Nevertheless, experts disagree with these statements. In fact, most people go for laundry detergent, body soap or hand soap and the results are quite positive. As gardens are one of the most potential sources of poison ivy, it is a good idea to be familiar with wearing gloves when you do gardening. In addition, have you ever wondered if gloves are really safe when they contact with the plant? The truth is the dangerous oils might penetrate your gloves. As a result, the prevention approach becomes quite useless. Besides, unless you wash the gloves carefully after gardening, the risk is still high. Oils might still remain on the gloves and over time, they might be easily absorbed inside. Thus, it is important to take soap or bleach to wash your gloves. You should do the same with your clothing and shoes. This is not to mention gardening tools, sink faucet or hose. To sum up, anything exposed to poison ivy needs to be cleaned carefully after use. All remedies, including essential oils, for poison ivy are so straightforward and easy to apply. But you might have your own wonderings, after all. We have done research and tried our best to answer some of the most commonly asked questions for you in this part. Check it out to find out whether your concern is handled or not. You can always pose questions to us on the comment box later. Poison ivy rash normally last around 2-3 weeks . However, it is necessary to bear in mind that it varies among individuals. Poison ivy allergic response is heavily dependent on your immunity or tolerance to essential oils. Besides, many people wonder how long does it take to get rid of poison ivy, and there is no way to know it exactly. Symptoms of poison ivy may emerge in various body parts at different times. Meanwhile, some skin areas are, in fact, very sensitive, which definitely take longer to heal. Surprisingly, poison ivy rash does not spread by itself. Many people sent me a question, “Why is my poison ivy rash spreading?” The truth might be shocking for you. In case you notice that the appearance of rash is expanding to other skin areas, it is a sign that symptoms are still appearing slowly, or perhaps you still have the exposure to the poison. You are not doing anything wrong to make it spread. It is simply because your treatment for poison ivy does not work. In general, poison ivy is a difficult problem to predict how long to heal. You might experience some weeks before every symptom emerges completely. Thus, if you do not take actions on time, it might be much more frustrating for treating poison ivy. Is Poison Ivy Contagious Person to Person? The appearance of rash due to contact with poison ivy is simply an allergic reaction. It results from the oily chemical in the poison ivy leaf. Allergies are individual; therefore, it is not contagious. In other words, you won’t suffer from the problem through the interaction with sufferers. Nevertheless, if you touch patient’s skin where the oil is still present, the likelihood is that you might experience poison ivy rash as well. Thus, avoid touching their skin or even clothes to keep yourself far away from this adverse plant. As poison ivy is not contagious, it is not an infectious disease that can spread among us. Yet, the assumption that poison ivy cannot spread is false. It still can spread in case you touch the skin which has the poison ivy’s oils. Besides, as mentioned above, the oil might stay on your clothing as well. So, there are quite a number of potential risks nearby you. On the other hand, poison ivy can spread to other areas of your body, unless you pay attention to washing your skin or clothes carefully. Do remember to use warm soapy water which quickly eradicates the harmful oil from your stuff. Since poison ivy rash is one of allergic reactions, it varies from you and me. Some might witness only the rash and feel itchy. In mild cases, you can try some simple tips on how to make poison ivy stop itching at home. But some might be even much worse. If your condition is severe, you will feel extremely painful in the poison ivy rash. In addition, your skin might become swollen and filled with fluid. For such situations, it is imperative to seek for medical help immediately. How Do You Know If You Have Poison Ivy or Poison Oak? There are many similarities between these two plants. First, poison ivy and poison oak both have similar oils. Secondly, they are both poisonous plants which put your life at risk. Similar reactions can occur if you contact with one of them. Though, in fact, most people are allergic to one plant (not both). Poison ivy adapts better to different environments. As a consequence, you will find it more common than poison oak. So, how do you know if you have poison ivy or poison oak exposure? If you try to take a closer look at the symptoms, say, the rash, it is nearly impossible to detect the difference between two plants. The only way is to examine the plant which you contact with. You can figure out whether it is poison ivy or poison oak by sorting out their leaves. The leaves of poison oak are similar to those of common oak trees. Its berries are often green. Meanwhile, you cannot find berries on poison ivy plants. Poison ivy is not a threat to everyone. However, the number of people who can become immune to poison ivy is quite small. Some experts hold a belief that if you are exposed to poison ivy regularly, you are less likely to have rash. But only with a strong immunity can you become tolerant to its dangerous oils. Though, this belief does not give you any protection guarantee. And you had better still avoid this plant. Besides, you need to strengthen your immune system by following a balanced diet and leading a healthy lifestyle. Overall, poison ivy is such a common problem for all of us since around 85 percent of the population gets sensitive to this plant . You can always rely on these top essential oils for poison ivy treatment. They are good options in the long term without any side effects on your skin. Besides, it is a good idea to learn how to prevent poison ivy as you might never want to experience it for once. If you find this article particularly helpful, LIKE and SHARE it so that more and more people get access to information about this dangerous plant – poison ivy!